Are you going through a tough day every day? Looking to fight against body odor and perspirations? 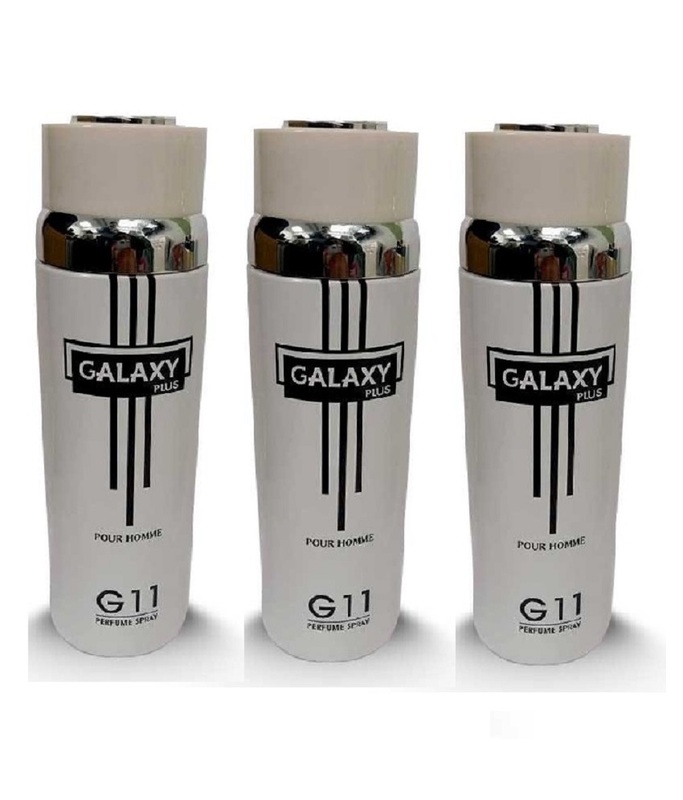 Try Galaxy Plus G 11 body spray which is making you feel from low spirits to high spirits. When the bottle opens and you smell the fragrance, you will be enjoying the feeling being charming, elegant and confident. It’s pleasant and invigorating fragrance helps you fight against body odor so you can stay cool and fresh all day long. So give Galaxy Plus G 11 body spray a try and read the mentioned below specifications which will surely let you go for it. Decus.pk offers you Pack Of 3 - Galaxy Plus G 11 Pour Homme Body Spray 200 ml Each at discounted price along with decent discount. So go and grab now.